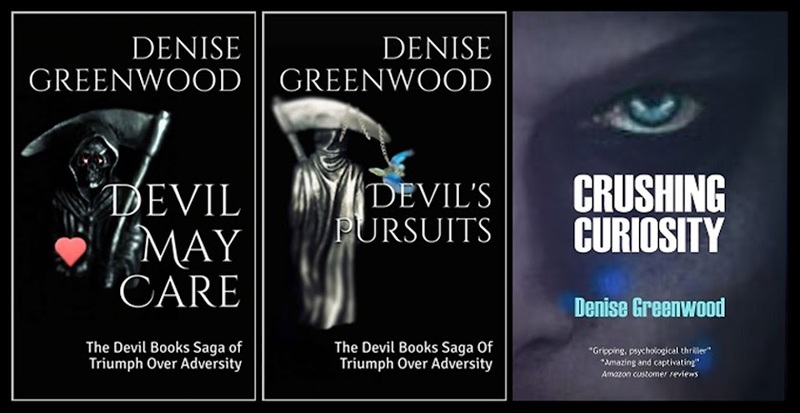 Thriller 'Crushing Curiosity' is based in Mistlethrop, a fictitious town in South Yorkshire, England but I spent many an hour in a real town, Halifax in Yorkshire, hunting down the perfect locations for my characters and their story. This is my local train station and it is also where one of my main protagonists, Caprice, embarks on a perilous journey into a nightmare situation. I took this on the day I was about to take the train to Halifax so that I could then take Caprice's first steps. This is the road where Caprice struggles to escape two men who followed her after her train was forced to stop at Mistlethrop. 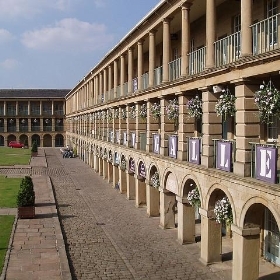 By following the road above then turning, you come to the entrance to the Piece Hall. I used something similar for the gated entrance barring Caprice's way of escape and I also used its fine examples of white Yorkshire roses later for the place she was taken to, Radburn House. The shop where Caprice catches Barri buying chokers for his next victims was located here. A slight change of location here. 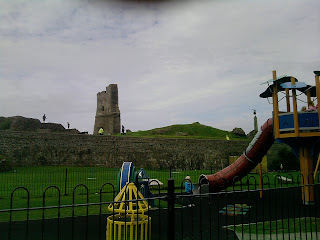 I found this playground on one of my travels and I thought of it as I wrote the scenes for the children playing opposite Radburn House. Whitby, I didn't have to change the name of this town. This is where my villain, Barrington, embarked on his own journey to finally decide what he was going to do with Caprice, his ideal victim. The wall of clocks. Barrington collected his own, stopped exactly at the time when each of his victims died. The shop owner was most polite when I explained I needed a photo and why. These are just a few of my memories, my moments of inspiration and they were kept at my side as I wrote my book. They added the sense of reality I was then able to instil in my characters, their locations and what happens there.